“I still remember calling 13 11 20 the first time. By the time I had finished talking, I realised the way I was feeling was normal and justified – and understood.” Ruth – Melanoma survivor. When you or someone you love is affected by cancer you can feel upset, frightened and overwhelmed. This can make it hard to understand and remember the information you are given by your health professional. Cancer Council 13 11 20 is a confidential information and support service. Our health professionals in this team can provide information, and help to clarify medical terms, procedures and treatments. 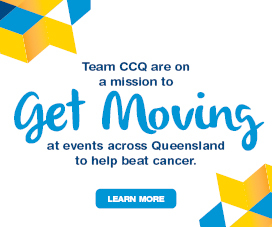 They can also refer you to Cancer Council Queensland support programs and other community services. 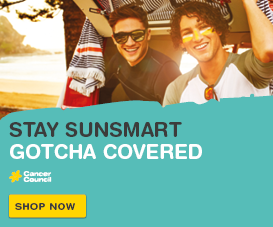 Anyone can call Cancer Council 13 11 20 – people living with cancer, their families, carers and friends, people wanting to reduce their cancer risk, teachers, students and healthcare professionals. This free and confidential service is available Monday to Friday 9am – 5pm (excluding public holidays) and is provided thanks to the generous donations and support of Queenslanders. If you call outside business hours, and leave a message, your call will be returned the next business day. If you are deaf, or have a hearing or speech impairment contact us through the National Relay Service. 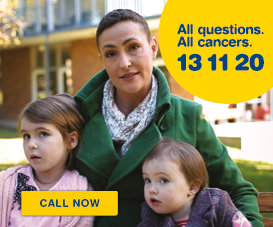 Give the Cancer Council number 13 11 20.